MEMORIES ARE PRECIOUS! Preserve them forever by transforming your photo into a beautiful work of art. We are the exclusive partner with Woven Remembrance. Grief experts refer to Woven Remembrance as a linking object, proven to help one through the grief process. These “one-of-a-kind” designs are then subjected to Phase Transition Technology to produce a soft, washable, non-shrinking, polyester and cotton tapestry throw that will be cherished by your family as a memorial to the deceased for generations to come. Each throw is customized to your loved one's life, which will include hobbies and interests from their life. Enjoy a HUG from your loved one anytime you need it. Call 828-464-4410. We can also do throws for: birthdays, newborns, pets, military or any idea that you may have!! 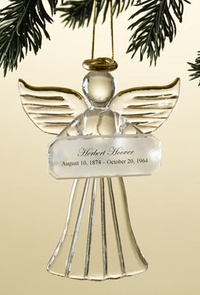 Each year at Christmas we honor the loved ones we served that year with 22K Gold Wings & Halo Angel Ornament. Nothing or no one can take the place of your loved one but this special keepsake ornament will in some small way let you know we care about you and your family and appreciate your friendship and support. 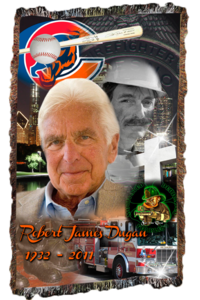 Giving and sharing this memorial keepsake with family and friends is now possible. Even if we did not serve your family and you would like to order a ornament they are available. Just call our Maiden or Newton-Conover facility and let us know. The cost is $24.95.